It is with great sadness that I let you all know that Dr. Stephen Couban passed away March 19, 2019 after a short and courageous battle with cancer. We are going to miss him greatly. We know he has left a tremendous void in our department. We are indebted to him for all he gave us during his time with us. The world and the Department are a better place because he was here. Our deepest condolences go out to his family and close friends. Please keep them in your thoughts. Explore our undergraduate, postgraduate and continuing education programs in core internal medicine and 15 subspecialties. Our faculty members’ research efforts are recognized around the world, particularly in the areas of geriatric medicine, neurology, cardiology and infectious diseases. 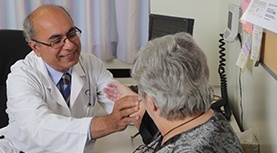 Department of Medicine members serve the complex patient care needs of adults in the Halifax and Maritime region. Watch this 5 minute YouTube video uploaded by the Nova Scotia Government to learn more about future health care in Nova Scotia. The Department of Medicine strives to attract and grow the best clinicians, lead quality care through innovation and drive research excellence. Learn more about the department. 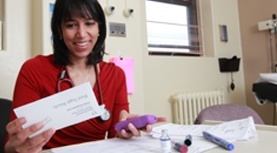 Our award-winning teachers, researchers and clinicians serve the complex medical needs of adults in Halifax and the Maritime region. Find out more about our people.